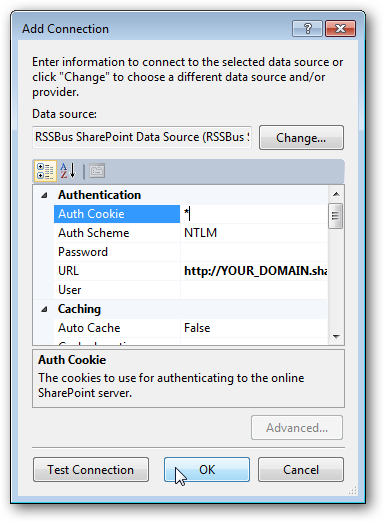 Using Cookie-Based Authentication with the CData SharePoint Data Provider. This article walks through the process of using the SharePoint Data Provider and authenticating with SharePoint Online / Office 365. 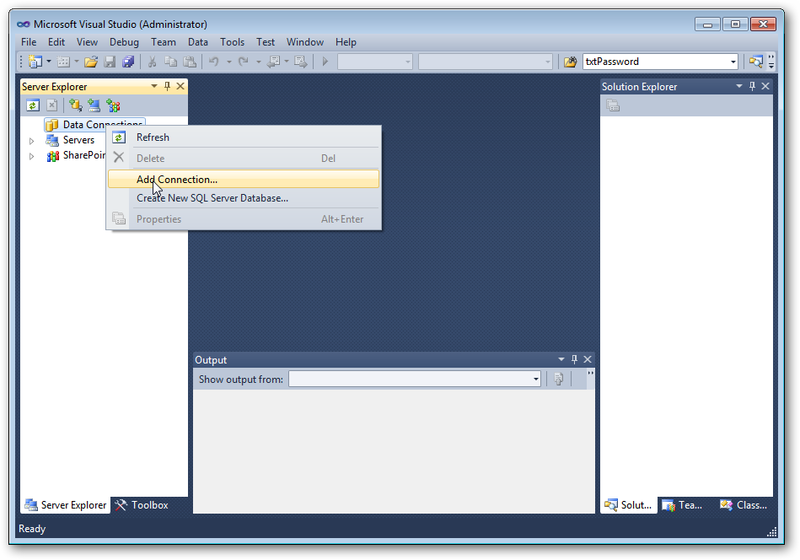 This tutorial covers how to perform authentication programmatically and with the Visual Studio Server Explorer. In addition to accessing lists from local installations of SharePoint server, the SharePoint Data Provider also supports accessing lists from SharePoint Online. 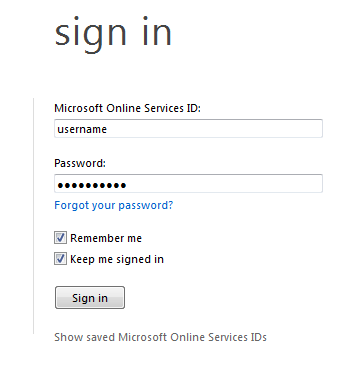 SharePoint Online and Office 365 authentication requires a cookie based authentication. To connect to SharePoint Online please follow the steps below. Point Internet Explorer to 'http://YOUR_DOMAIN.sharepoint.com/TeamSite' which will redirect you to an authentication page. Be Sure to check the 'Keep-Me-Signed-In' option at login. After following the steps above, you can use the provider just like you would when connected to a local SharePoint server. This procedure can also be applied to Entity Framework projects. If you have any further questions about this you can email our support team.